Some mighty fine kids flicks released over the festive break have pleased many cinema-going families, although some of which are so jam packed with emotion, they ought to come with a BYO tissue recommendation. Rest assured though, the following heart-rending big screen blockbusters may pull on the heart strings, but are absolutely worth a watch should you find yourself with a few hours free. 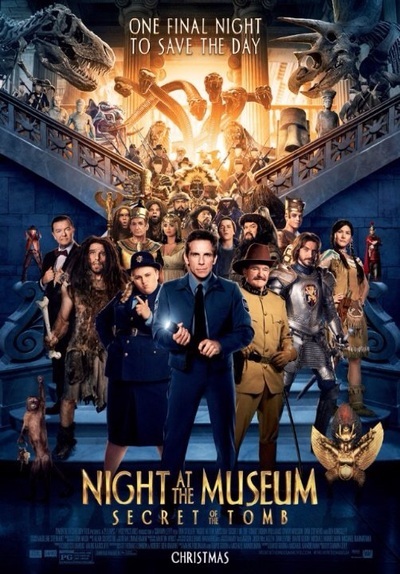 The third in the Night At The Museum series sees Nightwatch Guard Larry and his historic buddies travel to London in a final attempt to save the dying magic of the tablet that brings museum characters to life. In London, Larry meets security guard Tilly (played by Australia's very own comic superstar Rebel Wilson), as he wangles his way into the National History Museum of London. There is nothing particularly groundbreaking with this movie, with a predictable storyline and some funny/cheesy one-liners, but what makes The Night of The Museum: The Secret of the Tomb particularly emotional is saying farewell to the character Teddy Roosevelt, played by actor Robin Williams, starring in his final movie role, ever. Expect your eyeballs to sting a little tear. Paddington; a stunning movie from the onset with a small bear and his relatives making marmalade deep in the jungles of Darkest Peru. It isn't long however, until sad farewells fill the heart when the well-loved juvenile bear begins his epic journey to the other side of the world, arriving alone in the heart of London Town. 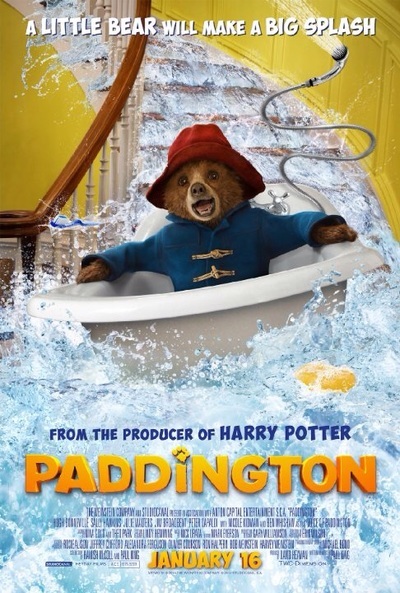 The streets and landmarks of London are beautifully visioned, as Paddington finds shelter in the attic of The Brown's family home, but all is not well in Paddington's new world, filled with rejection, loneliness and fear. Paddington does overcome his troubles, but your kids might need some reassurance to see it through to the end. Big a Hero 6 is a fantasy animation movie, set in the fictional city of SanFransokyo; a mash-up some of the delights of America's San Francisco with Japan's Tokyo. 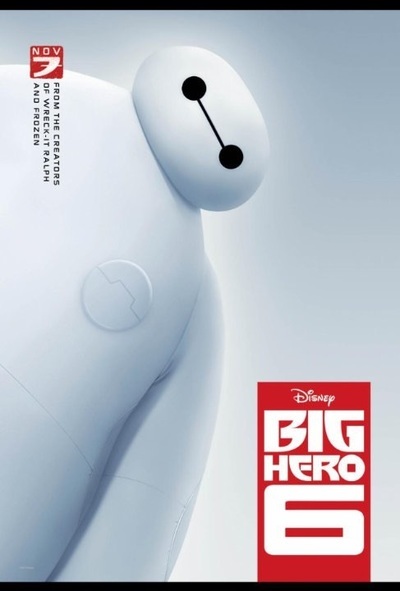 A devastating accident at the SanFransokyo Institute of Technology, sees Hiro, the main character of Big Hero 6; an electronics prodigy, say goodbye to a loved one that happens to be the designer of a large white inflatable robot named Baymax. After successfully converting gentle giant Baymax into a superhero-of-sorts, Hiro once again faces an emotional roller-coaster, taking movie watchers with him on wonderful journey. Fun fact - Big Hero 6 is the first Disney animated film that features characters from Marvel Comics. Paper Planes sees a young Australian boy living in Regional NSW beat all odds to represent his country in the finals of the World Paper Planes Championships that take place in Japan. This beautiful true blue Australian movie, sees 12 year old Dylan battling with his grief stricken father (played by Sam Worthington) after the loss of his wife (the boy's mother) in an unexpected car accident 5 months prior. 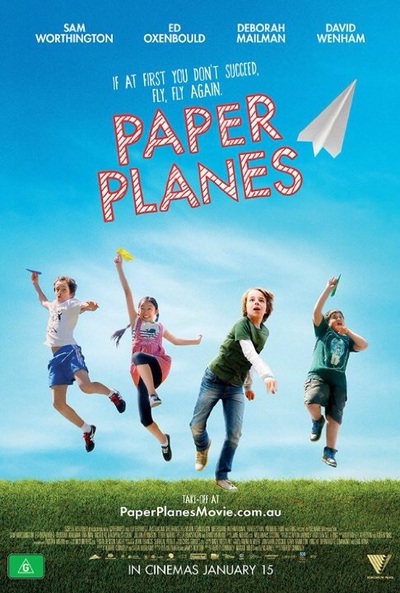 A mix of emotions see Dylan overcoming his father's depression and hostility as well as bullying tactics from a wealthy Paper Plane contestant, to embrace teenage love, companionship and bravery to win the competition. Much of the emotional baggage accompanied with Paper Planes may go over young children's heads, but that's ok, this is a movie to appreciated by all ages, embracing what it is to be young, ambitious and focussed. Tip - Have your A4 paper at the ready when your kids return home wanting to recreate their own paper plane contests in the backyard. Looking for a way to obtain family movie tickets on the cheap this summer? The following article here might be worth referring to.